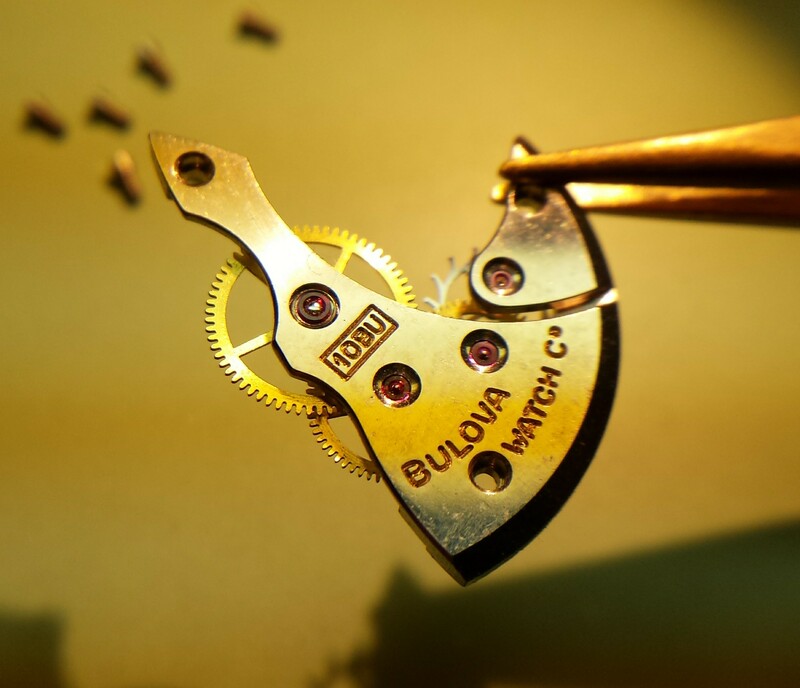 This Bulova 10BU's oils had all turned to glue. Nothing in this watch moved at all, because all the old oil was solidifed into glue. Here are all the wheels, still glued into the train bridge.